Pacific Tool & Gauge, makers of reamers, replacement bolts, bottom metal and other specialty gun tools and parts, has announced its 2011 SHOT Show Specials. These specially-discounted items, listed below, are on sale during show days, January 18 – 21, 2011 only. 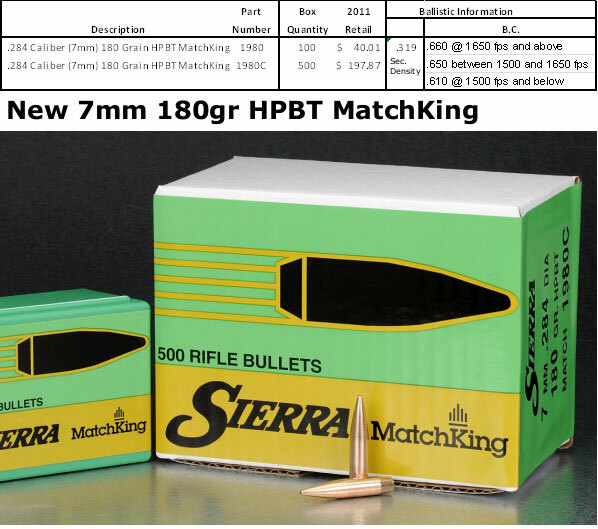 IMPORTANT: These special prices are limited to on-site SHOT Show attendees or readers of 6mmBR.com | AccurateShooter.com ONLY. 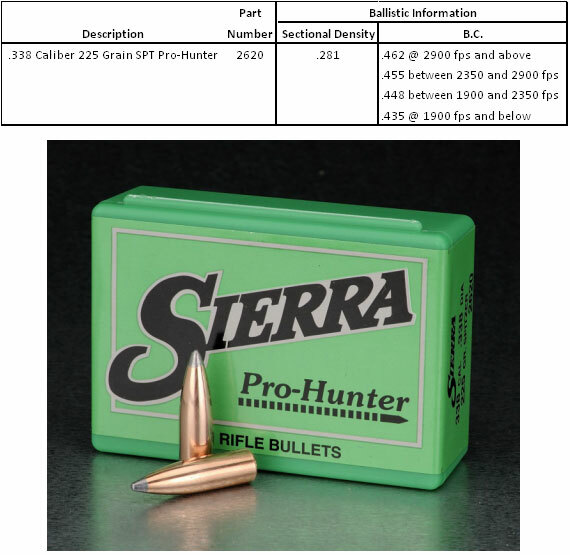 If you order by phone or email, you MUST mention AccurateShooter.com | 6mmBR.com AND Promo Code SS121 to qualify. Remember, the sale prices are valid Jan. 18-21 only. On those days, call (541) 826-9244, and mention this website and PROMO CODE SS121. Special Sales Prices limited to Jan. 18-21 purchases, and limited to SHOT Show Attendees or 6mmBR.com | AccurateShooter.com Readers ONLY. Prices subject to change without notice. Share the post "Pacific Tool & Gauge SHOT Show Specials"
Lyman has introduced a handy new multi-function Case Prep Tool. Most serious reloaders employ a variety of tools to chamfer and de-burr case mouths, and to clean and uniform primer pockets. As you may need four or five separate tools to do all these tasks, keeping track of all those gadgets can be a challenge. The Lyman Case Prep Multi-Tool makes life simpler. The Multi-Tool comes with six matching tool-heads, all of which conveniently store inside the orange-anodized aluminum handle. 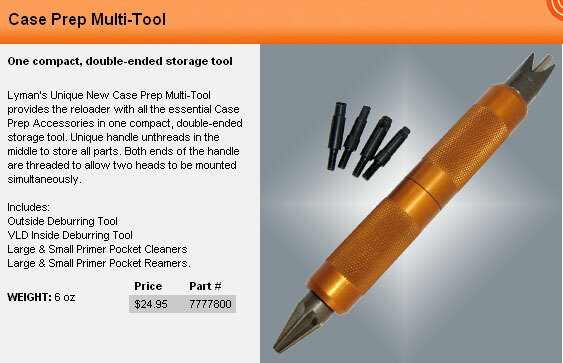 Lyman’s new double-ended Case Prep Multi-Tool is a smart design. It holds tools on both ends, and the orange handle unscrews in the middle to provide secure storage for all necessary case prep fittings: Outside Deburring Tool, VLD Inside Deburring Tool, Large & Small Primer Pocket Cleaners, and Large & Small Primer Pocket Reamers. Both ends of the handle are threaded, allowing two heads to be mounted at the same time. COMMENT: Priced at $24.95 MSRP, the Lyman Case Prep Multi-tool is a good value, considering what it would cost to buy a full set of case prep tools one by one. However, we wish some of the tool heads had better cutting edges out of the box. For the Multi-tool heads (as with most Lyman cutting tools), you’ll benefit by honing the cutting edges with a good whetstone or blade sharpener. Share the post "New Case Prep Multi-Tool with Six Heads and Internal Storage"